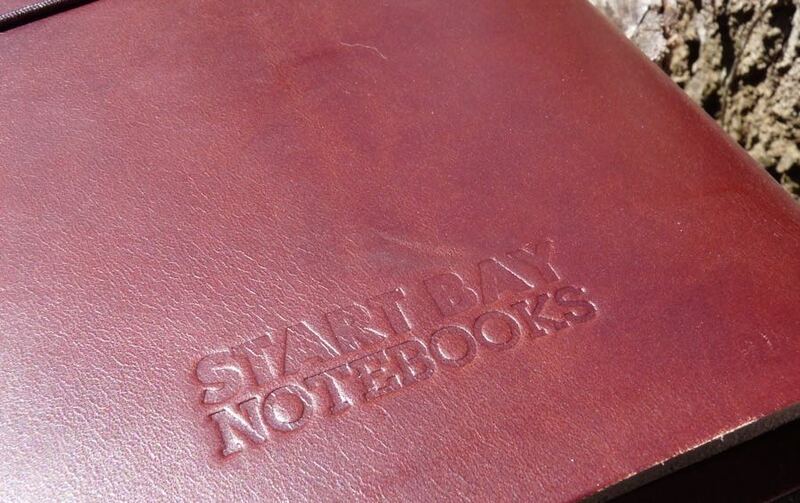 Start Bay Notebook Cover Review and Giveaway – Pens! Paper! Pencils! Start Bay is a little bay on the south Devon coast here in England. 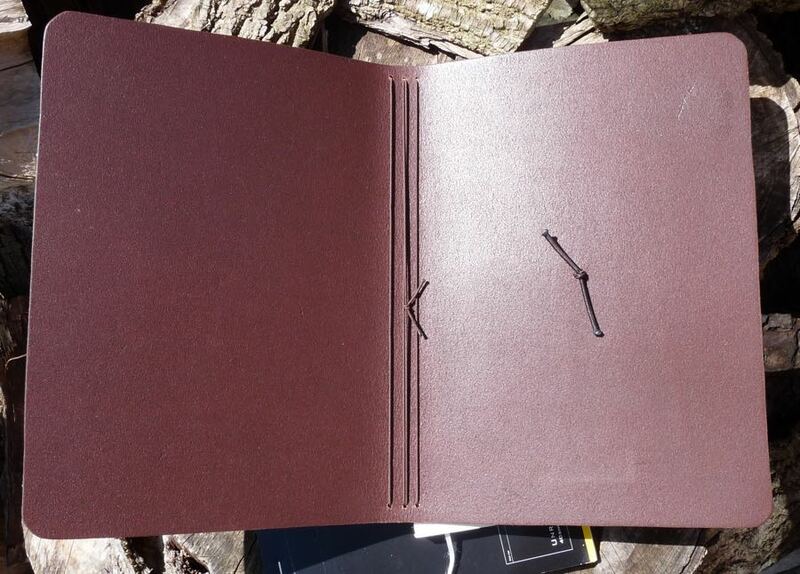 It’s also home to Start Bay Notebooks, makers of these simple leather notebook covers. Thank you to Start Bay Notebooks for sending me these covers to review (and to give away, see below). These are my own honest opinions. These are available in two sizes, the Pioneer, which is pocket notebook sized (A6ish); and the Navigator, which is A5. It’s available with either two or four vertical cords, for holding two or four notebooks; or with a pair of horizontal cords with which to hold a top-stapled notepad. I’m reviewing a Navigator with four cords. I also have a Pioneer and everything I’m saying here applies to that, too. The Pioneer has four cords and costs £35; the four-cord Navigator costs £45. 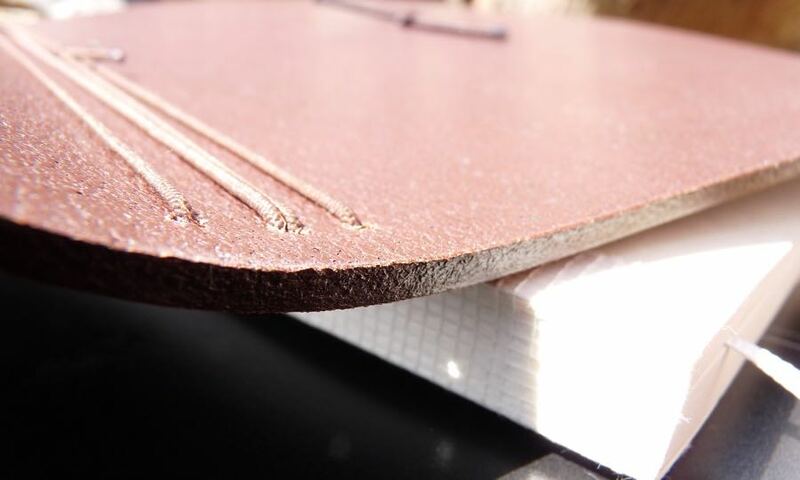 The elastic cords that hold the notebooks in place are threaded through holes on the spine of the cover and hold the notebooks in place fairly strongly. They do move around a little but not as much as in a Traveler’s Notebook, even when using heavier notebooks. This is a simple cover so it stands or falls on the quality of the leather. Fortunately the leather is wonderful. It’s thick full grain vegetable tanned leather which means it should last pretty much forever, developing its own character as it goes along. It’s unadorned except for a bold Start Bay Notebooks stamp on the back cover. 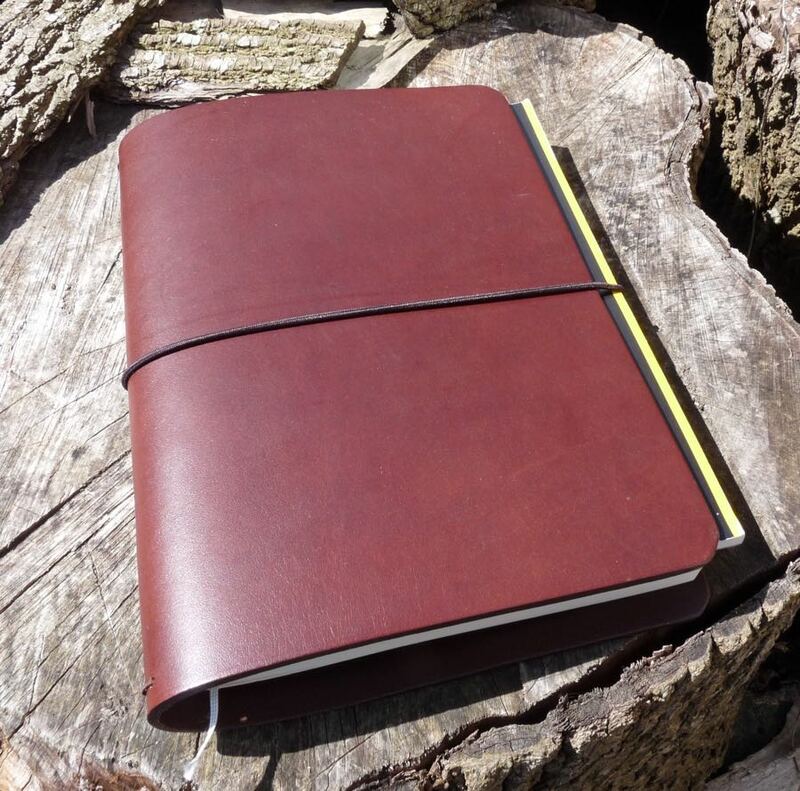 Start Bay Notebooks have taken off quickly here and in order to keep up with demand they had to change their leather supplier. They were kind enough to send me two additional covers with this new leather. The photos in this review are of the newer leather and that’s what I’ve been talking about here. However, the covers I’ve been using day to day are made from the original leather. This means I have two covers, a Pioneer and a Navigator, that have been barely used and are therefore available to give to you, dear readers. I’m trying out Rafflecopter for this giveaway. I’ve not used it before so it’s very much an experiment. Good luck! The giveaway finishes at the end of Saturday 25th June 2016 (UK time) and the winner will be announced soon after. Thank you to my lovely children who bring me joy! Thank you for your reviews. I find your guidelines and recommendations most useful. Thanks for the review & the giveaway! Thank you for the great hints. I make my own covers and always have a similar notebook with me. I especially like to use them with a Kaweco Skyline Sport pen (also always with me) because it will clip to a pocket and if you have no shirt pocket I can drop it in my pants pocket. further more it always starts when it comes in contact with the paper. Thank you Ms Ali for looking after the Syrian children settling into our town. These are really great quality leather, very well made and I love mine. To hold notebooks I cannot recommend them enough. And I love that the bigger one can hold a staple top Rhodia. Thank you for the review and the giveaway. And thanks to all my friends who put up with my pen and paper obsession! Very good and straight to the point review. 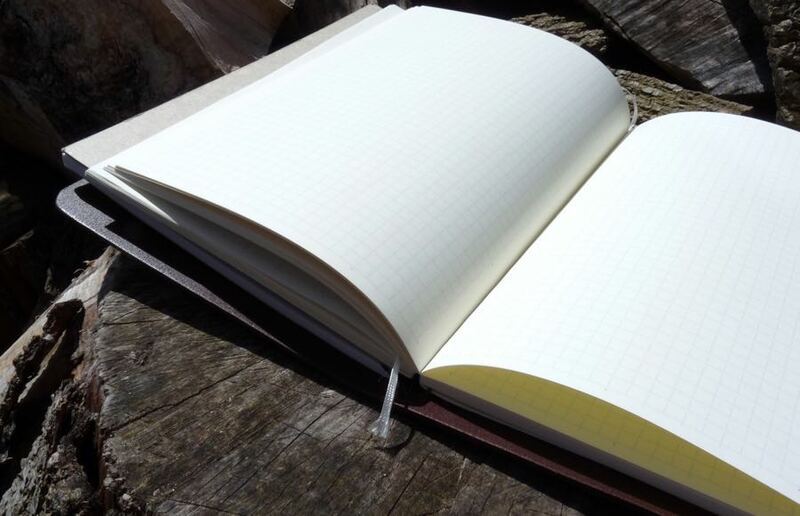 I’ve been really interested in the A5 size as I’ve already got a Midori Passport notebook – it’s on my wish list for Christmas next year. My passport has the knot in the middle of the back cover and I’ve never found that an issue for writing – maybe it wears in to be less noticeable with time? Thank you to my wonderful husband! Beautiful covers. 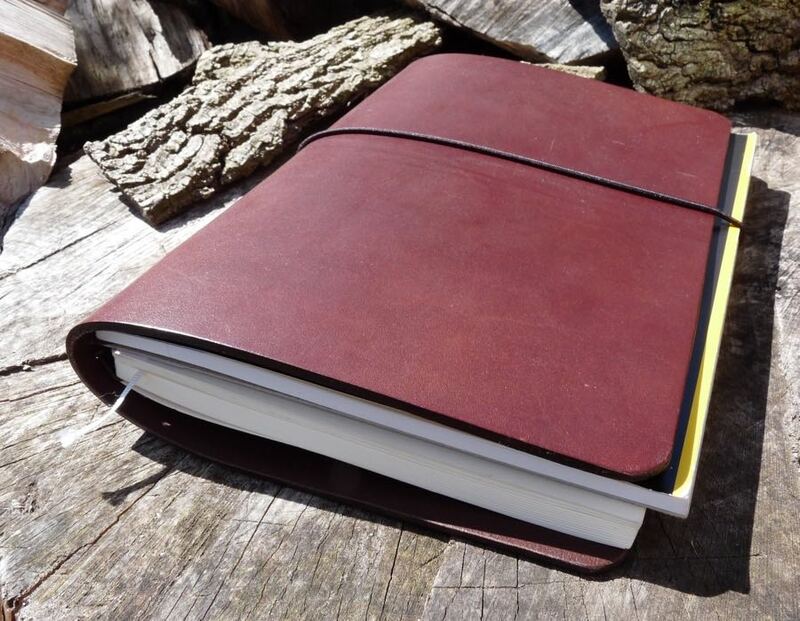 They look well made and more ‘classy’ than the rustic Midori traveler’s notebooks. Is this your impression as well, Ian? Thanks for the raffle. Looks really nice, and like quality leather. The leather sounds very nice from your description. I hope they have continues success. Thank you for this interesting review and for this giveaway ! These look fantastic. Thank you for the giveaway. Very beautiful look, and leather quality. Thanks to my wife, for allowing me to indulge my pen and office supply hobby! Thanks to my parents for raising me the way they raised me 🙂 Those covers look gorgeous, by the way! Beautiful book! I hope I win! Great giveaway, thanks! Also, your review, with comparisons to the Traveler’s notebook is most useful. Cheers! A very good review of an excellent product. Mine travels everywhere with me and I love the flexibility of use and the superb quality of the leather. The covers look seductive…..and the Pioneer seems to be the cover of my choice as I use lot of A6 size pocketbooks. Thanks to Pens Paper Pencils for bringing this up. Very nice – wonder if they could hold my nanami seven seas notebook? Great review! I’d love to handle and try out this leather. It definitely looks much more sturdy than the Midori brand! And thanks to you for this giveaway, this looks like a pretty wonderful notebook holder! Thanks for all the creative entrepreneurs, who come up with such good product ideas! Good stuff and a nice alternative to the normal covers – any idea how thick the leather is compared to the standard traveler cover? They are just about identical in thickness. Funnily enough the Travelers Notebook feels a little thicker, I think because it’s a bit stiffer, but when I put the two covers side by side I couldn’t see a difference. Great review. Always looking for a good way to carry my notebooks. Thanks for the chance to win. Fab review, I’ve been eyeing those up for my larger sketchbooks. Good review. I love these sorts of covers. Thanks for the great review! Saw these in the Cult Pens newsletter, nice review! Any plans for a Notebook cover roundup/shootout type review at some point? I hadn’t planned one but it’s a good idea. I probably need to get hold of a few more first. Thank you for reviewing these! The A5 size looks nice, and I like the multiple elastics on the inside. Wow, what an awesome giveaway. I’ve been oogling these for a while so it’s good to get to find out a little bit more about them, thanks for reviewing! Thank you for for the review! Thanks for the great review – the A5 size cover looks fantastic! Hello, I would like to thank you for the detailed review and the giveaway. I am in India and hope this is a Intl giveaway. I am still mulling over buying a TN cover or making one myself, hope I make a decision soon. Thanks. Thanks for the review. These notebooks are gorgeous. I’ve been looking for a cover and this would be great! Thanks! Thanks for the giveaway! It looks like gorgeous leather! Hello! Great review – very detailed and helpful. I’d be happy winning either to be honest! Thank you to my family for putting up with my notebook obsession while on vacation. Thanks for the review! What a handsome notebook system! Thanks for your review and the giveaway. The cover looks nice and of good quality.